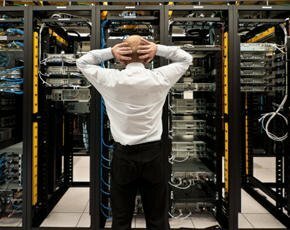 Despite technology advances and the emergence of software-defined datacentres and converged infrastructure aimed at simplifying datacentres and improving their performance, IT directors are still grappling with datacentre pain points. Storage, network bandwidth, cost and scalability are among the top datacentre concerns, users at Dell Enterprise Forum US in San Jose told Computer Weekly. Storage was mentioned as one of the most challenging pain points in a datacentre for the majority of IT managers and systems architects. “Storage has got to be the biggest issue for us, without a doubt,” said Brian Bogdan, director of information systems at accountancy firm Pasi. FTI Consulting storage engineer Kurt Telep said that having a colocation provider for datacentre services has reduced its storage-related problems. “Our storage requirements are simple and straightforward, so when we are in need of more, we just add more racks and chassis in our colocation facility," he said. But this simplicity was not shared by some other customers. Systems architect Tom Boehm, from music distributor firm CD Baby, said: “We have a lot of content, most of which is in rich multimedia format, and it is a big challenge to store, catalogue and make this data available at all times. The growth and expansion in CD Baby’s business means the storage challenge is only increasing. Boehm is looking at architecting tiered storage to overcome the problem. “We do have some hotspots of data. For instance, when an artist is new or is live on a television or radio show, the demand for his work is more than the demand for other artists’ works," he said. Data management and analytics were other datacentre problems related to storage. “LexisNexis has come up with an open source-based solution for data analytics, and we are looking at that to see if can help us with our data analytics problem,” said Pasi's Bogdan. According to service providers and customers, datacentre technology is moving at a pace that is difficult to keep up with. “IT commodity features are evolving so fast that users are not able to keep up and understand all the features in these products or how to use them,” said Daniel Berni, commercial director at IT service provider DMStor. “As a channel partner of suppliers such as Dell, we have users come to us and say that they don’t have enough time to get all the knowledge and training on newer equipment,” he added. But when a technology seems to claim that it can solve their problems and give them flexible and agile IT, they try to deploy it and thereby increase their infrastructure’s complexity, Berni said. Scalability was the main concern for FTI Consulting. “We look at a piece of technology, and it looks very promising, but the minute we try to scale it up to the level of our choice, the product seems to fail or not perform as expected,” said Telep. This means the IT team has to switch to another more scalable product, possibly leading the IT project into disarray, he said. So the IT team at FTI Consulting is now doing extensive scalability testing beforehand. But that has led to other issues. “Our product purchase lifecycle has extended from two months to between six months and a year. By the time we make a decision based on our scalability testing, technology moves on to another level,” said Telep. “To overcome this, we are now collaborating more with other customers and channel partners to learn from their proof of concepts," he added. “We are also doing a lot of beta testing and piloting products with vendors as they introduce new products." The pressure to do more with less was mentioned as another big challenge for datacentre managers. “There is always pressure from the management, who want the datacentre to scale up and provide newer services and additional capacity, but the budget doesn’t match the expectations,” said Ladislav Lala, IT director at sIT solutions. This means the IT team has to spend more time building the business case for datacentre projects and calculating return on investment to convince the stakeholders to invest more money to bring the datacentre up to date, he said. While infrastructure product costs are higher, customers have room to negotiate the price with suppliers, which eases the pressure a bit, said Lala. Security also remained a concern for datacentre professionals, amid trends such as IT consumerisation, an insurgence in mobile devices and growth of big data. Datacentre managers have to provide different types of access to the datacentre assets today. They need to set up remote access and local access, as well as repurposing the data to be compatible with many devices, and this leads to difficulties in managing datacentre security, said DMStor's Berni. Growing demand for increased network bandwidth is the biggest datacentre worry for 81% of respondents surveyed by Emulex. About 76% of IT executives said network input/output (I/O) is the most critical bottleneck in the datacentre, while more than half said their need for network I/O increases by 60% or more annually. For a majority of IT executives, improving I/O performance in the datacentre was a high priority. They also expected their datacentre networks to operate at 100Gbps by 2016 to improve I/O performance in the facility. Among other significant issues that IT directors face within their datacentre facilities are managing latency, reducing footprint, maintaining continuity and ensuring high availability. Surprisingly, power and cooling issues, IT sustainability or issues around carbon emissions were not among the top datacentre pain points for IT directors. On the consumer side, Dell revolutionised product distribution by using e-commerce to compress the supply chain, and it pioneered the commoditisation of enterprise IT hardware. One development enabled Dell to scale up its own sales operation, while the other enabled countless customers to scale out their back-end computing operations. Now, the tables are turning and the industry is shifting underneath Dell. Can it adapt? Users present at the Dell Enterprise Forum are looking to use Dell Compellent SAN’s newer versions to resolve their storage issues. Dell made its biggest storage and server announcement in a long time at the conference, which included products such as VRTX, Active Infrastructure 1.1, modular datacentre, Dell Compellent SAN 6.4 and flash arrays. The company also revealed it is deepening its alliance with Oracle for pre-integrated systems for datacentres and shared its converged infrastructure strategy.